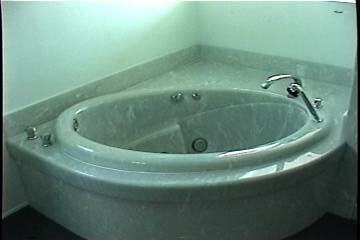 An 'Ambience' Tub set in a deck at an angle to facilitate the size of the Room. 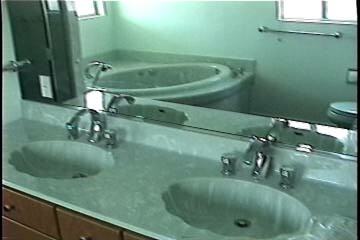 The Double 'Shell' Bowls on the Pullman Top incorporating an Integral Backsplash. 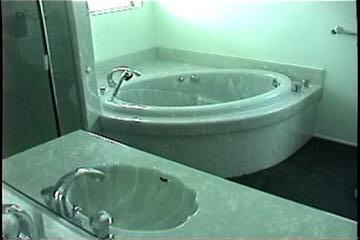 Looking across to the Tub into the relection of the Mirror above the Counter Top. 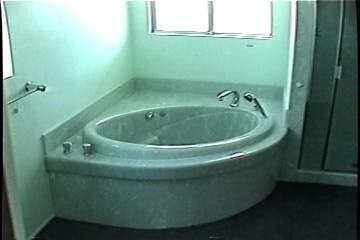 Another look at the Tub. 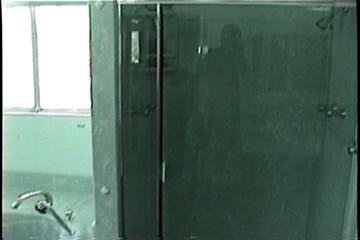 Dual Control Valves inside of the Shower.